A fantastic run by St Cocas’ Orla Reidy saw the Maynooth Post Primary student finish the 2nd Irish girl home and in doing so, she helped Team Ireland claim the bronze medal in the Home Nations International in Nottingham earlier today. Orla’s improved her position by three places amongst her Irish team mates as she had previously finished 5th in the All-Irelands in Waterford a few weeks ago. Congratulations Orla from everyone at home. St.Cocas AC athlete Orla Reidy, will tomorrow represent Ireland at the SIAB International Schools’ in Wollaton Park, Nottingham, England. Orla will become the first girl from St.Cocas to represent Ireland at schools level and qualifies after her 5th place finish two weeks ago in the All-Irelands in Waterford. The event is part of the Home Countries International (4 nations) and sees 16 Irish schools’ athletes compete. Orla ran for Maynooth Post Primary in the Leinsters and All-Irelands, with the St.Cocas runner firstly capturing the Leinster Schools Intermediate Cross Country title in Santry on February 21st before her 5th place finish in Waterford. Orla’s achievements so far are all the more remarakable as she is also eligible for the Intermediate ranks again next year. The junior girls will compete over 4km with the Intermediate girls (Orla’s race) competing over 4.5km. Well done to her coaches Larry Kelly & Michael Reidy in helping her to reach this level. St.Cocas Kilcock athlete Orla Reidy has captured the Leinster Schools Intermediate Cross Country title with victory at Santry today, February 21st. The Intermediate race was ran over a distance of 3500 metres. Orla’s win is all the more special as she is also eligible for the Intermediate ranks again next year. She will now also progress to the All-Irelands. Both Orla and her St.Cocas team mate Aoife O’Cuill, who ran a great race to qualify for the All Ireland finals next month, were representing Maynooth Post Primary. Aoife ran in the Senior race, over a distance of 2500 metres. Please find below a break down of the school’s different ages for the respective years. Scoil dara student Sarah Clarke has today qualified for the All Ireland Schools Junior Girls Cross Country Final. Sarah made it through to the final after an impressive run in the Leinster Finals meeting in Santry. Well done to Ciara Gormley who also represented the Kilcock school, running a strong race in the same category and to Oisin Farrell who was also on duty in the boys race. Please find a break down of the different school categories depending on year and age. Former Kilcock Gaa player Barry O’Keeffe is to this weekend run a marathon less than a year after been involved in a car accident in Spain that almost left him paralysed. O’Keeffe who soldiered with Kilcock for nearly all of his Gaa career before moving to County Meath and Moynalvey where he both played and managed through a period of exciting times for the club, attended CostaSpine in his adopted country of Spain during his road to recovery. 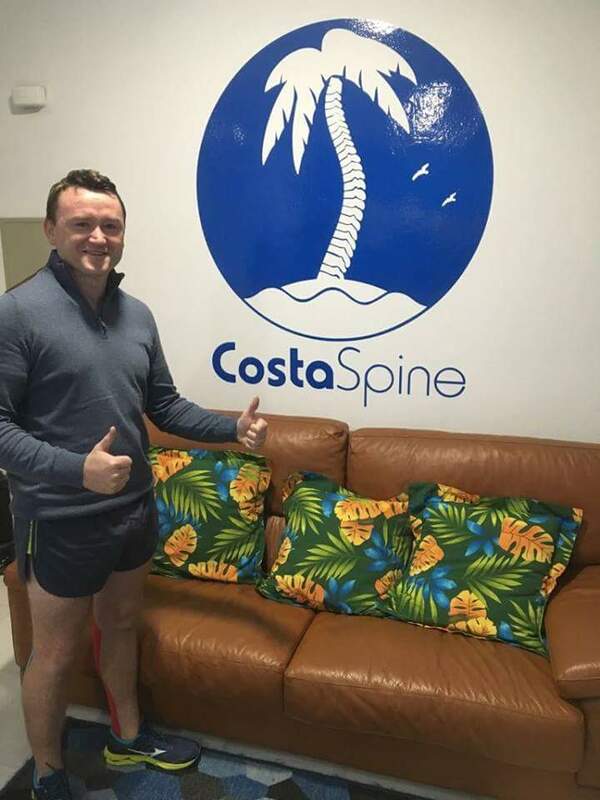 A spokesperson for CostaSpine today posted on their Facebook page a brief description of Barry’s miraculous recovery from the time he first walked through their doors with a cervical fracture of C6/C7 to the day asked would he be OK to run a marathon on December 10th. “Here is one of our patients his name is Barry O’Keeffe. Our resident D.C started seeing him as a patient in the beginning of June. I saw him for a neck injury, which he sustained from a traumatic car accident. In this accident and he sustained a cervical fracture of C6/C7. We continued to treat him and his healing was phenomenal, he was incredibly diligent with everything our resident Chiropractor gave him to do. Before we knew it, he was on the rehabilitative side of his treatment plan and his results were remarkable. 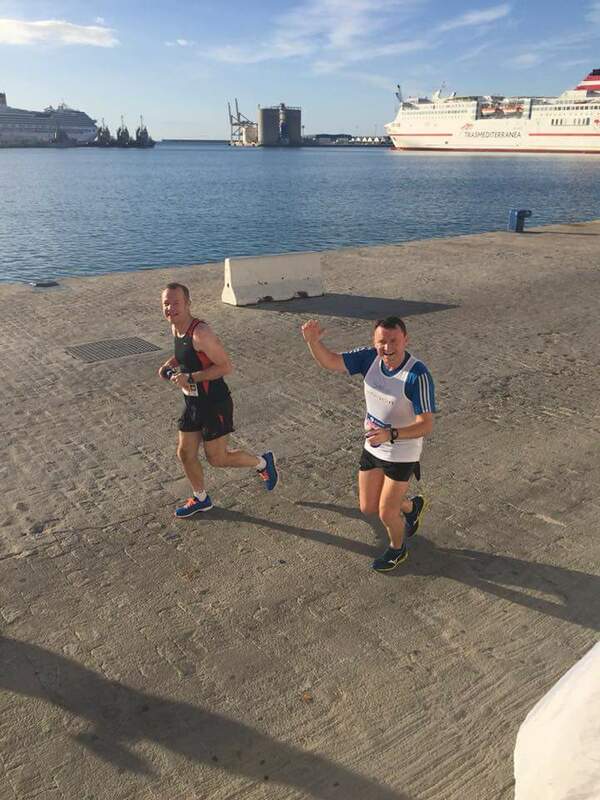 He then felt comfortable enough to start running and he has been so committed ever since and I am happy to say he will be there on the 10th of December competing for his medal at the Malaga marathon.